On Wednesday, October 10th the world came together to raise more awareness for Mental Health Day! In this post I am going to mention 5 Pick-Me-Up suggestions for the Chronic Illness & Mental Health community. These are just a few things that I use as creative coping mechanisms for chronic health issues and wanted to pass it on to anyone else that may need some ideas. Listening to music has been proven to lower stress levels and is a great way to cope with your mental health. On World Mental Health Day I created a new music TAG called – ‘Pick Me Up Playlist’. I’ve been listening to an artist for a couple of years now, who goes by the stage name, H.E.R. She’s a real talent and automatically cheers me up whenever I hear her voice. If you need a Pick-Me-Up, put on your favourite album or find a new one to explore and listen to. Crank up the volume and rap/sing your heart out. You might just find the theme tune for your life! I had written a short poem called, ‘Hopefully Rose’ and posted it on my blog. You can use poem writing as a way for you to express your feelings and emotions, or simply make a poem about what has inspired you or caught your eye at a particular moment. It doesn’t need to be a full page with the longest words, it also doesn’t have to rhyme. Some people might say otherwise, but I think blogging is definitely a creative outlet. Actually, before I started blogging more frequently (these last two months) I never realised how much of a creative outlet blogging really was. It might not be painting the Mona Lisa but whilst blogging you are expressing yourself with words and connecting with an audience. Whether you’re sharing your story or sharing general knowledge it’s all a way for you to be creative. 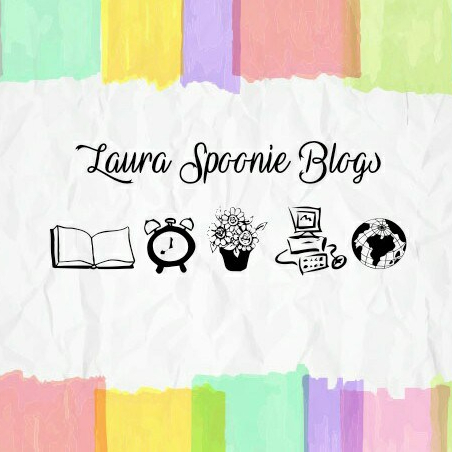 I know blogging is tiring, especially when battling with ailments etc. but it’s actually a good way to stay positive and connect with so many lovely bloggers and people who may enjoy your style of writing. If you are only able to type and post on your blog once a week, then do it! If you can post a few times a week, go for it! Do what you can manage and use it as your space to share your light. You are a Writer. You are Creative. You are Talented. Being a part of the chronic illness and mental health community, I know for myself how much the bad days can outweigh the good days and take its toll. Between physical pain and emotional pain, it can all get too overwhelming. Last on my list but probably one of my most favourites is drawing. Drawing is a great way to escape your physical and mental struggles, you can use it create whatever you want… just like writing and blogging. You don’t have to be the best at drawing, just practice doodling and putting pencil to paper. You might surprise yourself with what you come up with. I’ve been drawing since I was little and it has always been automatic for me to pick up art tools and just go for it. In the last few weeks, I’ve tried my hand at drawing portraits, an area that’s new for me. So try it, get a few pens or pencils and get drawing! So there we have it, 5 Creative Pick Me Up suggestions for chronic illness & mental health community. Hope you enjoyed! DISCLAIMER: THIS POST CONTAINS AMAZON AFFILIATE LINKS WHERE I RECEIVE A LITTLE CHANGE IF YOU USE MY LINK TO PURCHASE A PRODUCT I’VE PERSONALLY USED AND REVIEWED – THE USAGE OF THE PRODUCT LINK COMES AT NO EXTRA COST TO YOU BUT WILL ALLOW ME TO CONTINUE PRODUCING THE CONTENT I LOVE TO SHARE.